The South Central Task Force is a group of 8 counties in Southeast Pennsylvania working in the area of emergency response and public safety. As part of the GIS Working Group, I have assisted in developing and contributing to multiple Python scripts related to our regional data update process. One of these projects was updating an existing script so that it could be run as a scheduled task instead of a custom ArcGIS tool. The script extracts GIS datasets to a file geodatabase, zips the geodatabse, and uploads it to a FTP site. This allowed the group to move from quarterly to monthly data updates. 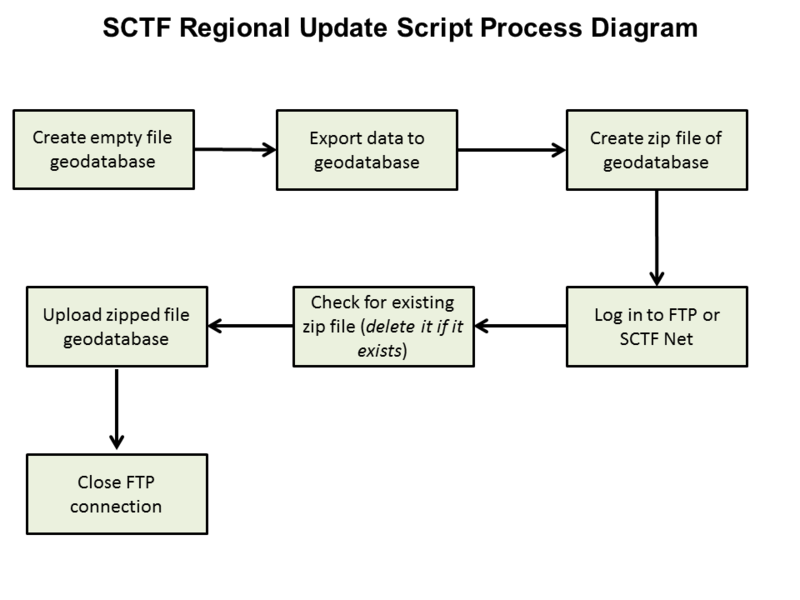 I have also assisted with the development and enhancement of scripts to perform our Extract-Transform-Load regional data update process, updating the regional datasets by copying features from map services, and automating the download and extraction of the zipped regional geodatabase from the group's FTP site.